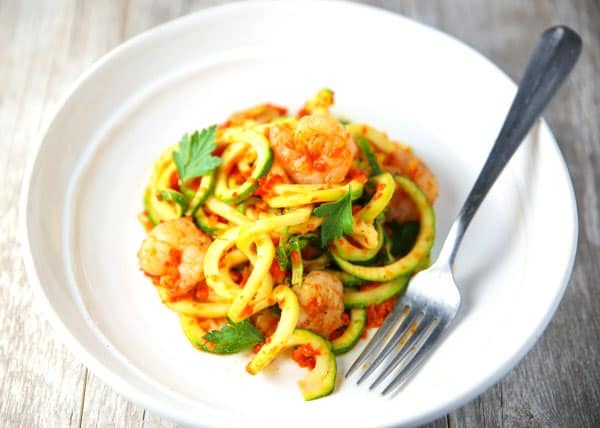 These Sautéed Shrimp with Zucchini Noodles in a Roasted Red Pepper Sauce are a healthier alternative to pasta and incredibly delicious! I’ve been trying to incorporate in more healthier meals lately. I’m still feeling the bulge from the Holidays, and I’m determined to get back on track. You guys, this sauce is seriously SO GOOD! I just roasted a couple Red Peppers in the oven (full printable recipe below), then blended them in a food processor. Next I sautéed some Onion, Garlic, and Red Pepper Flakes in EVOO. Added in the Red Pepper puree, Vegetable Broth, and Oregano, then cook until it thickens. 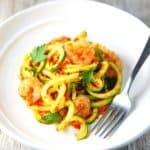 Once the Red Pepper Sauce is done, simply sauté the Zucchini noodles or zoodles as I like to call them until they are al dente. Which is about 3-4 minutes, don’t cook any longer then this or they will get soggy. Now for those of you wondering, I used blade C on my Inspiralizer to create a thicker noodle. 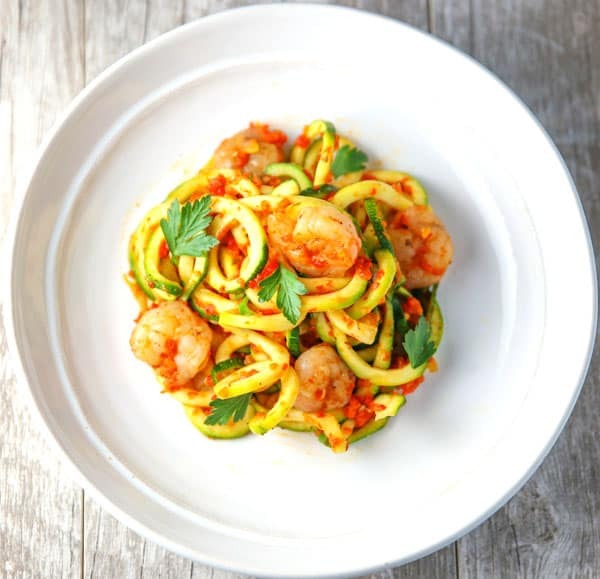 Set the zoodles aside and sauté the Shrimp. 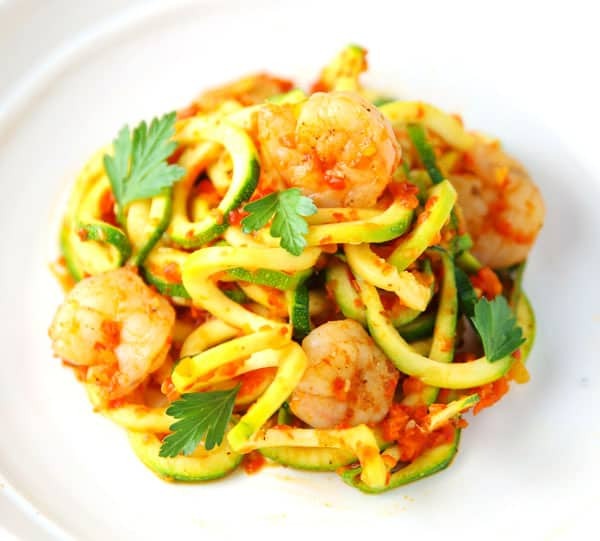 Once cooked add the Roasted Red Pepper Sauce and Zucchini to the pan and cook 1-2 minutes to get the flavors mixed in to everything.